keep moving forward, never remaining in the past and even the present. From the days when being a stylist was yet to be a career choice, the enthusiasm and instinct to try new things and make things happen opened up new paths for Yasuko Takahashi. A true pioneer is one who tells us every time that there is room for more, that the only result is the best result. 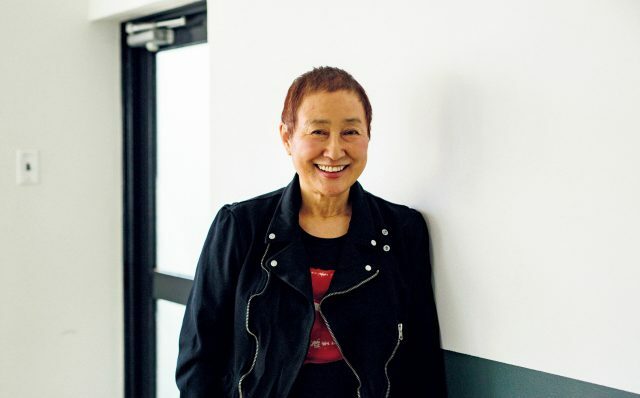 With a career spanning 50 years and covering a wide range of fields including advertising, music and movies, stylist Yasuko Takahashi, or “Yakko-san” to those who know her, is even now still at the forefront of her industry. From iconic stars like T-Rex, David Bowie, Iggy Pop as well as Japanese stars YMO, Kiyoshiro Iwamano all the way to recent sensations Momoiro Clover Z, famous artists from Japan and abroad as well as countless photographers and creators have great trust in her, and it is with her that they have created unforgettable work in the process. 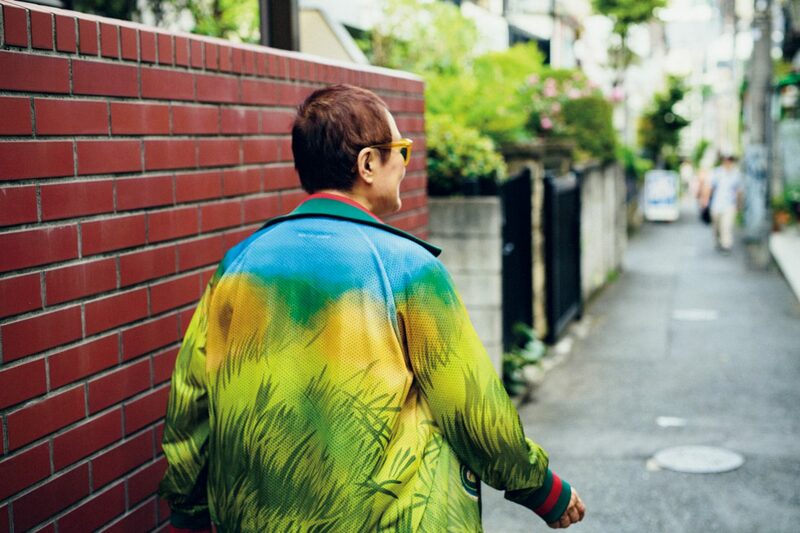 However, as Takahashi explains to us, the notion of a stylist did not exist in Japan when she started her career in the 1960s, and there was no specific desire in her mind to become one back then. It was at this small company made up of young staff, where alongside her work as a copywriter, she went on location for shoots where she ran around gathering tools, equipment and outfits and preparing meals for everyone. With the ability to line up the ideal props and outfits for the shoots based only from quickly-drawn rough sketches, Takahashi was praised by her colleagues around her. People spoke of her as such that “Yakko has that something that others don’t have”. Before long it was “Yakko, please help us!” where she was assigned to filming after becoming indispensable to the staff. Two years later, she became independent, the beginning of making her own way as a freelancer. With all the money she had, she jumped on a plane to New York to hone her skills. This period proved to be the most stimulating and inspiring time. For Takahashi, still hesitant in the back of her mind as to whether to become a stylist, she got the confidence where she knew she was “heading in the right direction”. Not long after, and for the first time in Japan, the title ‘Stylist’ was printed on her business card. 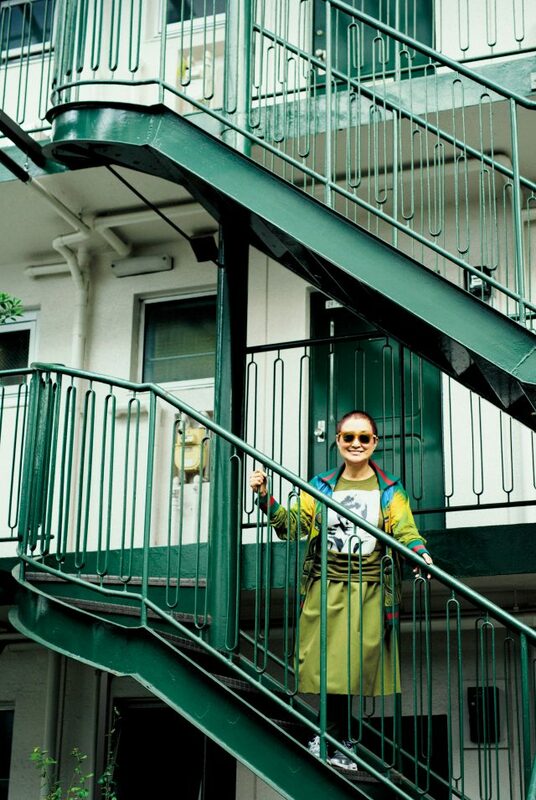 Takahashi’s workplace before becoming freelance was located in Harajuku Central Apartment, a building that was famous for being a haven for creative types during the 1960s and 1970s in the trendy and artistic Harajuku district of Tokyo. The home she grew up in used to house a photo gallery where, as a young girl, she was able to lay her eyes on the works of Eikoh Hosoe and Ikko Narahara in photography magazines ‘Asahi Camera’ and ‘Shashin Bunka’. “I was blessed to have the chance to assist Mr Hosoe on one of his shoots. When I looked at his work, I knew with all these great people around that I could not become as great a filmmaker or photographer. But why I continue and not tire of being a stylist is because I love photography and love to help out in shoots”. She went to England together with Masayoshi Sukita, where the subsequent portrait sessions for rock icons Marc Bolan of T-Rex and David Bowie have become iconic. At that time Takahashi was not styling but being made to contact record companies and negotiate with them face-to-face. 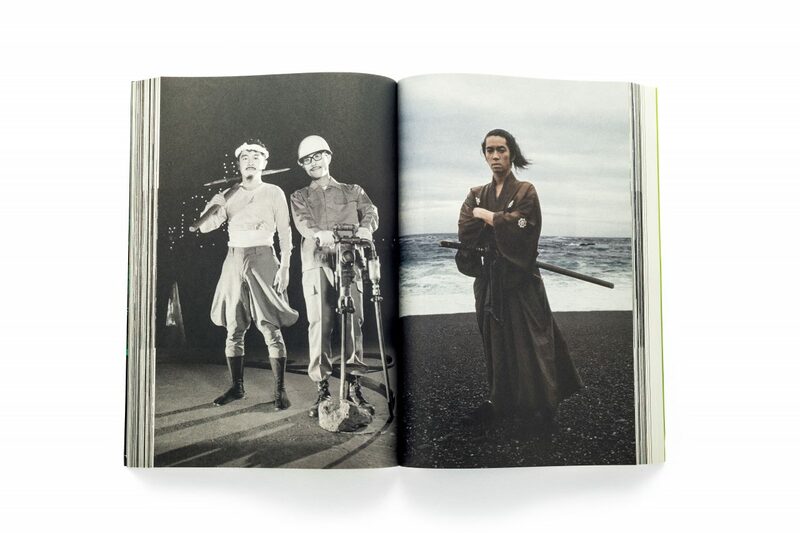 Having spent significant time with the photographers and creators that shaped the 1960s and 1970s, paying respect to the people on both sides of the camera, and with the curiosity, a head full of ideas and fire burning inside, she soon became a pioneer for Japanese stylists in her own right. Takahashi is well aware that complete trust is put in her from the artists and models she styles. It is her principle to maintain a certain distance, to not cross the line no matter how however friendly, to not bear too much from them but to remain a supporter to the end. On the other hand, there are times when she has to step up to a role only stylists are able to do. 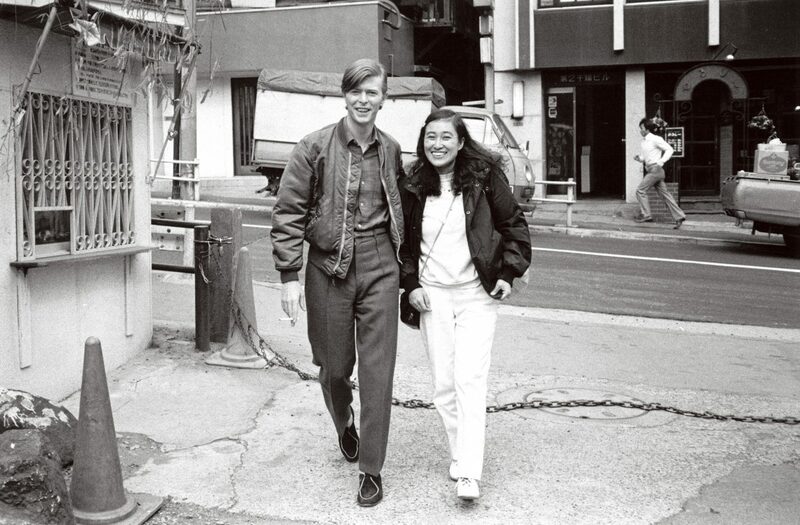 For example, the time she went she embarked from London to New York for her first show with David Bowie, whom she forged a strong friendship with in the 1970s. In front of a sold-out audience and just as the curtains were about to be raised, Bowie let out a scream. What happened was the make-up had gotten into his eyes. “‘He became unmanageable, screaming that his eye hurt so much that he couldn’t perform I realized at that moment that he was so nervous that he couldn’t appear on the stage without releasing it. 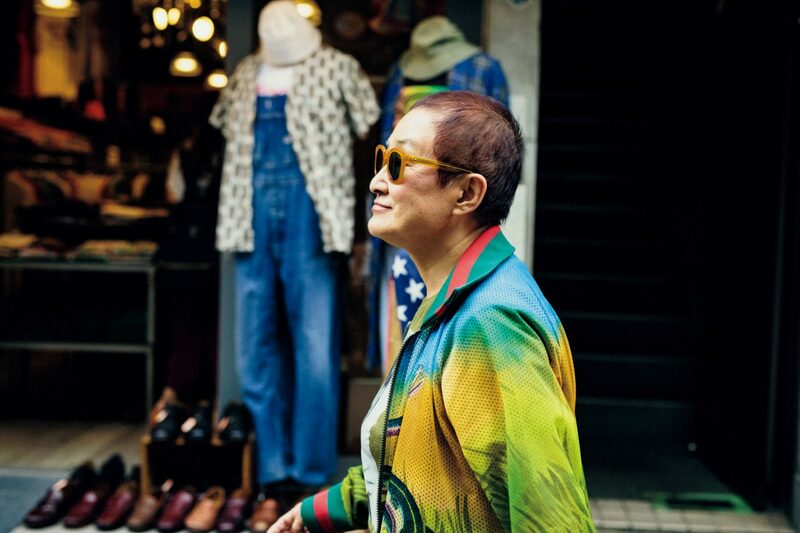 Even now in her mid-70s, Takahashi looks for outfits by herself and makes them if she is not able to find what she wants. She even returns any leased goods on her own. Though she has an assistant, she has never wanted an organization to handle such tasks. Her passion to seek unknown horizons by herself does not stop. One more thing Takahashi pours her energy into is writing. “It’s funny come to think of it as I hated writing in my time as a copywriter,” She laughs at the thought as she is currently writing a blog, updating her Facebook and even in the process of writing a book. 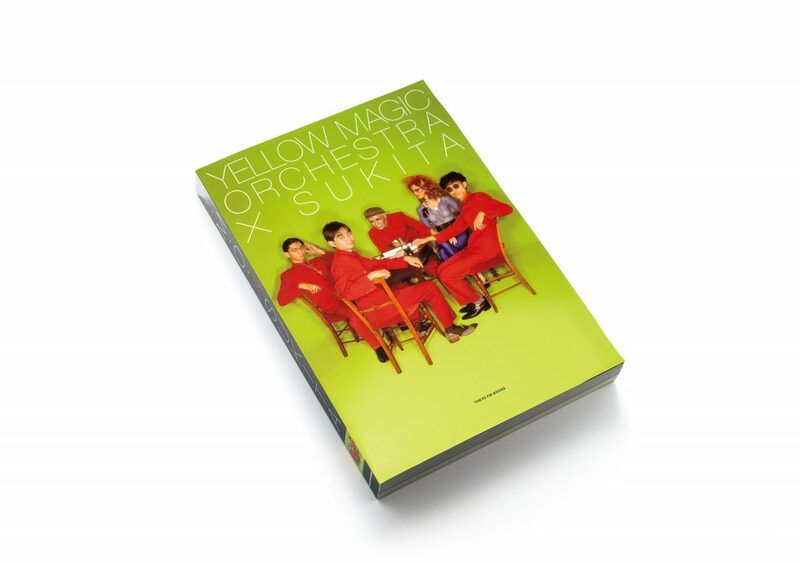 This is the photo album that can be considered as the compilation of YMO (Haruomi Hosono, Ryuichi Sakamoto, Yukihiro Takahashi) which Masayoshi Sukita continued to photograph from “Yellow Magic Orchestra World Tour” in 1979 to 1980 to “World Happiness Show” in 2009. Mikio Hasui x Chikashi Kasai My own photography theory.